Click Here to be on mailing list. Workshops fees are based on cost per person. Groomed for GREATNESS™ Programs are parent training classes for all parents interested in developing a strong and courageous old school approach to getting more involved in the education of their children. These classes offer parents tool and techniques to increase parental involvement in education. To motivate parents to expect excellence from their children using positive feedback. REAL Parents recruitment strategy consist of parents of children in day care centers, pre-schools, charter schools and all parents interested in workshops to improve parent involvement in education. 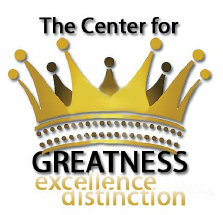 The REAL Parents Center of Greatness provides training classes and conferences for all parents.